bRO experience+bRO wiki information. Sadly I can't confirm it is the same as kRO I understand bRO might be different from kRO, but the skill is definitely a lot stronger there and damage not reduced on GvG. I was hoping someone could test if we really have the same as kRO. The ranger doing that is making his own team enjoy the conquest less. I don't see how Shalltear's suggestion solves the issue. Automatic land clearing effect on a 7x7 area around the spawn will only make the ranger start the traps further from spawn, but that doesn't stop him from putting a ton of traps and blocking the way out anyway, you just get a bit of free cells. Not to mention a situation like Enya's last screenshot, that isn't spawn still he's making it so his own team's only option is to flag 4-1, when certain classes may want to stay behind cades. (enemies literally can't even get to the traps yet there are 40 of them there) This would also affect other skills that are not that bad. Manhole for example has big after cast delay, max use of 3, short duration and even if you fall for it, you will get out when it expires (on officials, duration resets as you enter it, and you stay there even if it gets LP'd/Cweeded). Reduced duration doesn't sound that bad imo. You mentioned "Asura began to be used also because of a long succession of Sura nerfs" in response to "You can see most suras clearly using it a ﻿lot more﻿ after﻿ the buff cause the damage﻿ is stupid﻿ now﻿﻿﻿﻿". The only sura nerfs in that time frame are the snap/goh delay. It is very clear for anyone playing BG that there is a difference in Asura use comparing before/after buff and nerfs are not the reason behind it. Snap/goh delay is official and there was a reason to fix it. Asura update is official and there is a reason for us players to give opinions and discuss about it. We don't strictly follow official rules (especially on pvp enviroment) because they sometimes are dumb. The staff is always open to reasonable suggestions and adjustments. If needed they would figure out and implement correct formula for goh/tc. That's currently considered unhealthy. Sura is not the only class with differences when compared to officials, genetics Level 5 fire expansion should be a lot stronger, SCs don't have regular manhole behavior which is cancer[...], the staff works to make the game the best possible for everyone. Now let's wait for the big upcoming patch as Nova proposed. Even though I don't think this Asura situation is going to change it's probably a good idea to wait and see what happens with the game in general before making any decisions. Snap/GOH spam rate are fine and as strong as before. Not everyone can or will wear the new long ranged reduction card. - Asura should definitely be strong with oneshot potential but it does feel a bit too powerful as it's possible to oneshot full reduction GR+Deviling targets, which means suras probably don't need that much offensive asura gear to easily oneshot other "average tanks". It is an easy tool to delete a tanky character from a fight. It gets worse on BG where you can't always rely on your team to help you or punish the sura for doing CC+Asura. There was this bug fix about Vacuum not being cleared by Crazy Weed: and this one about it still not being properly removed: There is still a problem with it. What happens is: if you go walk through a Vacuum and go past it's area of effect, then clear it, you will still be unable to move. If you're on top of it and clear it, you will be able to move just fine. Video demonstration: This is really annoying as the interaction between both skills becomes inconsistent and during a fight you're never sure if you actually cleared it until you try to move and notice you can't. This might happen more often to a Shadow Chaser (happens a lot to me at least) since you may want to feint bomb/escape away before clearing the Vacuum, but then you have to wait for the full debuff duration. Those are all excuses for low effort people. How many people do you think use MVP cards and high refined weapons? We had 84 participants last draft woe. How many of those are wearing the "OP" gear or >NEED< the OP gear? So basically everyone who plays woe and draft are stupid for playing on a completely "unbalanced" environment? Or are they accepting what's part of the game and playing it doing what they can with what they have? Why can't you see how good a player is just because of those? Especially support classes. So you're basically saying if we get the "fair" environment the newbies who don't even bother playing cause they're scared will show how they're as good/better than people who actually play without crying about game mechanics? You can have 500m worth of gear on a shadow chaser and press 2 buttons to disable a mvp card user. - You don't need expensive gear to play WoE unless you want to play a DPS class. We "fail" to achieve the second point because most new people lack attitude. They don't even try. Also there's just not many people interested. I'm not sure what you mean by PVP scene/system not being newbie friendly. How does a more newbie friendly pvp scene/system look like? You can't expect everyone to be "newbie friendly" and helpful and that's completely normal. But there are nice people willing to help, and that's what matters. We recently tried this: https://www.novaragnarok.com/forum/topic/10265-woe1-recruiting-for-alliance-red-and-alliance-blue/ and failed. Again, it's sad that people are waiting for someone to take them by the hand. So basically unless someone gives the new guy every information he needs he's not gonna play? If you're new, make a list of things you want to do/learn/improve and find out what you need to accomplish those. -Stat build - Go learn what each stat does for your character. Do you need instacast? Do you want higher resistance to a specific debuff? Do you want a higher HP pool? More damage? ask someone for advice. -Skill build - This should be easier. Learn what skills you should be using and get them. Again, if you don't have that information, you can always find it somewhere or ask for advice -Gear - What class are you playing? What are your goals with it? DPS? Tank? Utility? What are good swaps I should carry? What's doing the most damage to me so I can adapt? am I freeze immune? [...] I understand someone lacking information and not knowing how to go about these, but the problem is when they don't even try. Search for it, think about it, ask around. -Gameplay - What's my goal as "X"? How do I do that effectively? Where should I position myself? What skills do I use, when and why?[...] When you do PvM, you need to meet a certain requirement to clear an instance, you need a plan. Do I have enough dps? What does this boss use that's dangerous? Do I need a support with me? Do I need a different element? Many people will jump into PvP with 0 preparation and it's obviously going to be a bad experience. Those often complain/give up after such bad experience and that's it. There's no effort, there's no attitude. And then the blame is on the veterans. What do you expect them to do? Cause I don't think it's fair to say WoE dies because they don't take people by their hands. I was once the person asking questions and I've had people ask me questions. Those are the few people who are able to at the very least play BG/Draft satisfyingly. If more people acted this way, eventually the scene would be bigger and there'd be higher chances for a new guild to be formed. 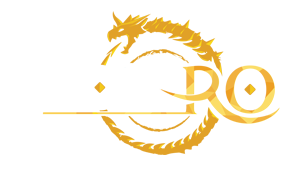 Before playing Nova in 2017~2018 the last time I had played RO was in 2012 (which was a very different game before many major changes were implemented to the game) on an official server. Still it was only a matter of playing the game and actually trying to learn and improve. It is not hard. As long as the idea is good and makes sense, most people should be open to it. Changing woe time is not a solution. 0 competition at 8AM is the same as 0 competition at 8PM. I don't see why you'd mention customs, and yes, if someone notices a mistake, they will point it out. It's on the other side to think about it or ignore it. I think a new/different game mode where there's a default/weaker gear set could be interesting. But not necessarily to replace what we currently have. - As for rewards it has a different impact on each kind of player. I would play WoE even if there were no rewards at all. When I decided that I wanted to join Nova's BG/WoE I knew I was not a good player at the time. What did I do? Talk to people, play a lot of BG. Practice over and over. RO is not hard. Anyone interested enough should be able to play and learn what to do, how to do and improve over time. The community in general is willing to give advice. WoE being a competitive environment with limited member cap for each guild can cause guilds to be more selective, but that doesn't mean you can't play BG/Draft to have fun and get better. When I started to play decently one of the guilds rejected me and I felt hopeless, then I was a guest for another one till I officially joined them. I understand it's different for each person and all, but I believe people are constantly looking for excuses. If it's their goal to participate, it's inevitable they'll have to work a bit for it. That said, we can't expect good guilds to appear out of nowhere, and we're lacking someone to lead the people who can/want to play and don't have a place to do so right now.